Partnership with NTT Docomo will see trials of ultra high-density antenna technology in preparation for 5G network launches. Fujitsu has kicked off its latest steps towards next-generation networks with the launch of a new 5G field trial. The PC giant has announced a partnership with NTT Docomo which will see the two companies work together on trials of ultra high-density distributed antenna, which will allow for the high-speed data transfers required for 5G networks. The technology is now being tested as a field trial at the Fujitsu Shin-Kawasaki Technology Square, one of the company’s network business locations in Japan, as part of the company’s research program towards an expected 5G worldwide launch in 2020. Fujitsu says that the technology will help it evaluate some of the most popular and widespread use cases for 5G technology, such as live video transmission in stadiums. The testing system consists of two mobile stations equipped with displays that can be moved around the interior of the square, alongside centralised baseband processing equipment controlling up to 32 distributed antennas, all connected by fibre-optic cables. 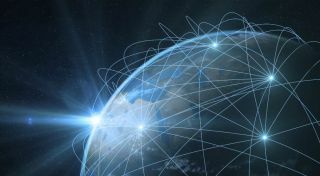 Fujitsu says that by using its own calibration technology, it can prevent signal interference between the distributed antennas - a major hurdle towards testing technologies that can enable a commercial launch of 5G technology. The system is also able to support IP data transmission, meaning it can be tested in areas such as stadiums, and handle up to 32 streams of high capacity data transmission, simultaneously and at high speed - which Fujitsu says is a world's first.